It’s midnight in Richmond and you haven’t eaten since lunch. That half-melted Snickers bar in your bag disappeared hours ago and most restaurants have long since closed for the day. Luckily, you don’t have to find a fast-food joint, tighten your belt until breakfast, or hit the Pringles in your hotel room mini-bar. Richmond has several late-night—sometimes all-night—eateries to satisfy your growling stomach. They’re also the perfect places to head to if you’ve arrived in the city at night or you’re on an airport layover and need somewhere to fuel-up before your next flight. Hungry? Read on for our menu of local nighttime dining options. On the outside of Lansdowne Centre mall and a rare 24-hour option, No.9 is often clamorously busy during the day. 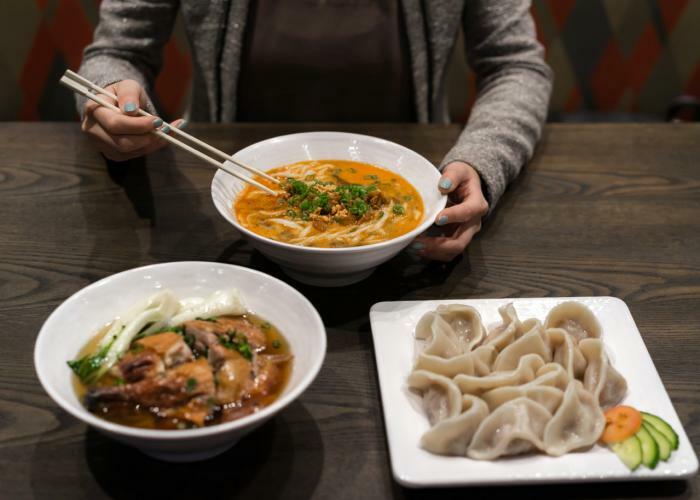 But in the middle of the night, this fancy-free joint is sometimes just as crowded, as in-the-know locals roll in for Asian comfort dishes like curry rice, pork ball congee and a wide array of brothy noodle bowls. Western dishes are also available on its giant menu, including burgers and spaghetti entrées. Recommended: honey garlic chicken wings. Open to 3:00am every night (4:00am Fridays and Saturdays), this Hong Kong-style eatery on Alexandra Street (aka Food Street) also serves lots of popular Western dishes alongside its huge array of Chinese and other Asian items—from chow mein to hot pot and from Hainanese chicken to sweet and sour pork chops. Portions are good, prices are reasonable (many dishes are under $10) and there are also a dozen or so vegetarian options available. In the recently revamped food court of the River Rock Casino Resort, this well-connected 24-hour option is just steps from the Canada Line’s Bridgeport Station––only 3 stops (or 7 minutes) from Vancouver International Airport. The busiest of the food court eateries here (and the only one open 24/7), its Cantonese and pan-Asian menu includes everything from noodle bowls to Singapore fried vermicelli and house-prepared sushi and sashimi. Recommended: shrimp wonton noodle soup. Part of the under-the-radar Continental Shopping Centre strip mall, Sing Yee is open until 1:30am every night (but is closed on Tuesdays). 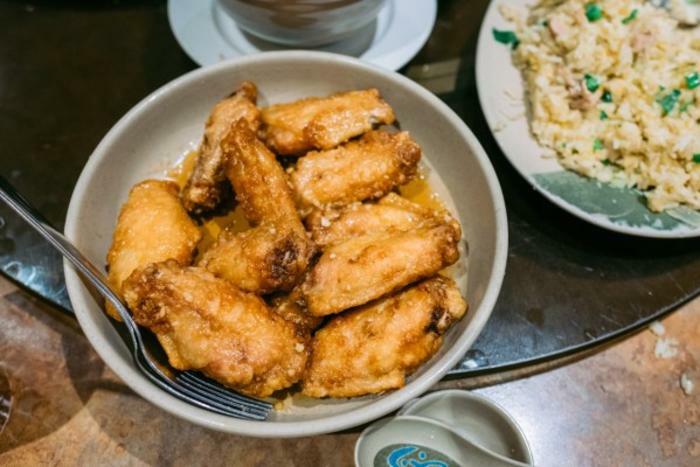 This unassuming, family-style Chinese restaurant serves a good range of Cantonese classics from Peking-style pork chops to hot and sour soup, but don’t miss the tempting array of barbecued meat dishes as well. Recommended: BBQ duck on rice. 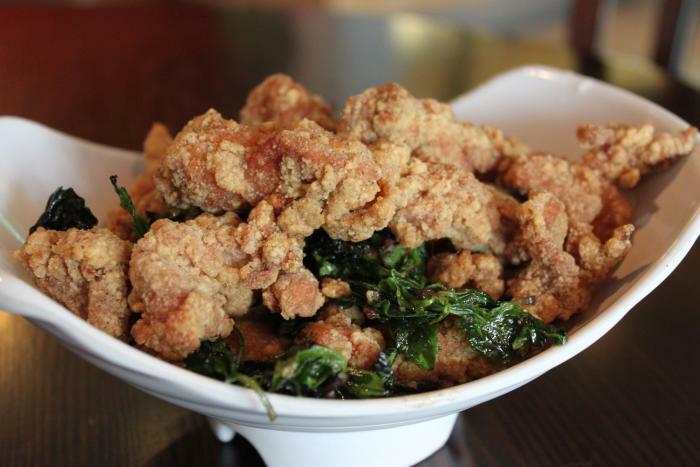 Open to 1:00am every night (2:00am Fridays and Saturdays), this casual and ever-friendly Taiwanese-fusion eatery and bubble tea joint lures legions of young late-night regulars with its yam fries, shrimp fried rice and black pepper steak dishes. The bubble teas are half-price after 10:00pm, a special that keeps many thirsty locals coming back for more.